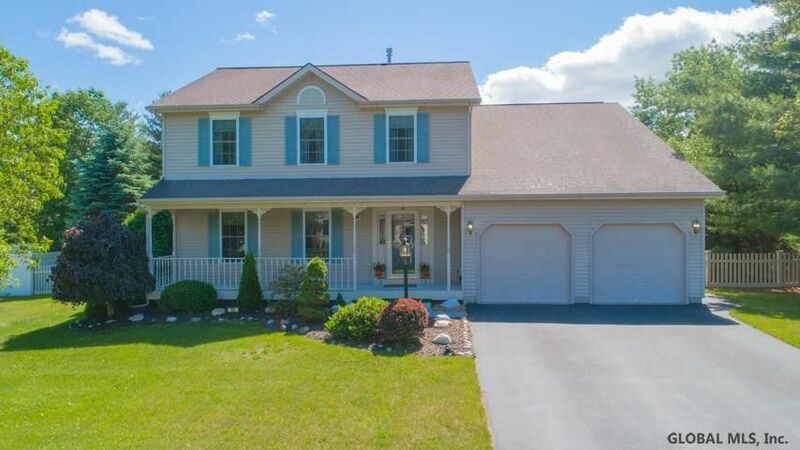 Spacious 4 bedroom 2.5 bath 2 car garage colonial home in the desirable Saratoga Glen neighborhood. This meticulously maintained home offers over 2200 SF of bright and updated space. Laminate wood floor throughout the home, family room with gas FP, eat in kitchen with quartz counters, newer appliances and slider to large deck overlooking extensively landscaped, fully fenced and private back yard. Comfortable master suite with walk in closet, 3 other large bedrooms. New high efficiency furnace and tankless water heater in 2016. Move in ready!